A nice assortment of split rings to attach all of your keychain gear! Includes 4 each of the most popular sizes, including the unique oval style. 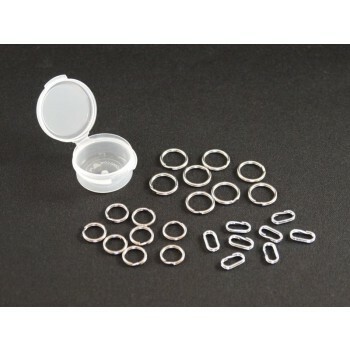 A total of 24 split rings, sold in a convenient snap-lid storage container.